a mobile app for students. 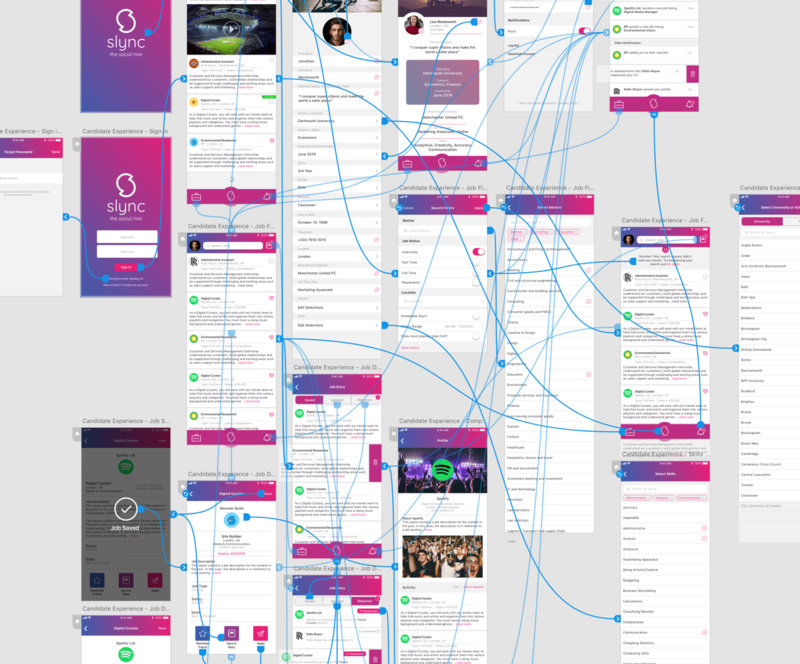 Along with designing the iOS app for candidates, we’ve also designed the employer interface from the ground up creating a seamless platform experience for both user groups. A thoughtful interface for employers. For years, employers have used the same interface for candidate search. There hasn’t been much innovation in this area…until now. With Slync, we are introducing a new way to look at candidates. 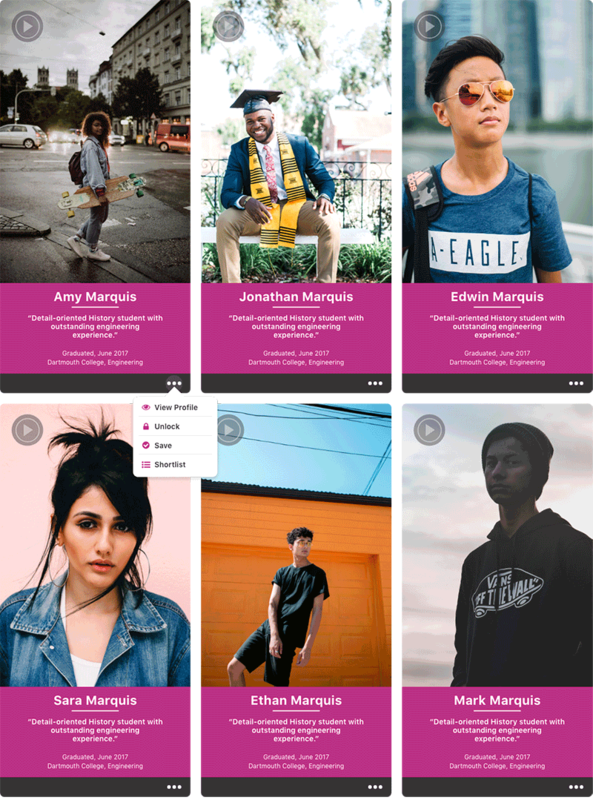 Instead of viewing a list of names, we created a dynamic video grid to show candidate previews. This new visual approach will save employers time and money finding the right candidate. Welcome to the age of the video resume. Today’s students are on their mobile devices more than ever before. 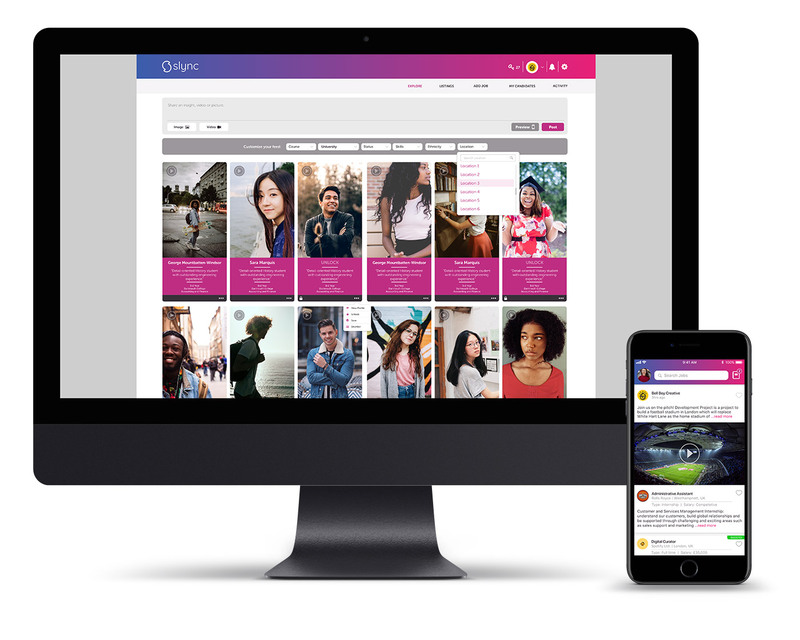 With Slync, they now have a enjoyable and simple way to post their video resume, search jobs, and have employers interact with them in a fun way. We carefully designed the Slync user interface to provide a unique, but familiar experience that will encourage interaction and exploration.